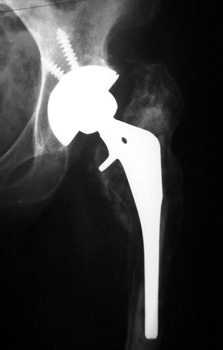 Revision arthroplasty (A). 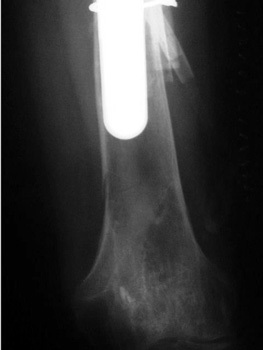 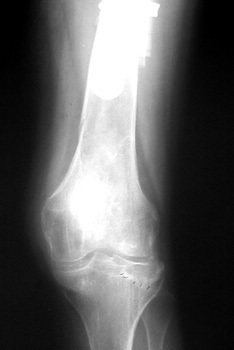 Proximal femur resected due to large amount of osteolysis (B). 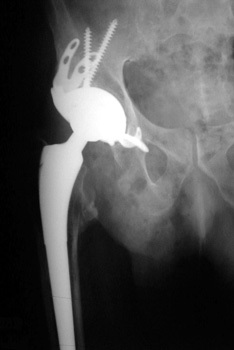 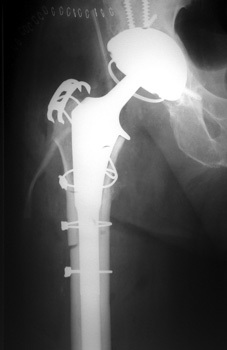 Revision arthroplasty with long femoral stem and large phalanged cup. 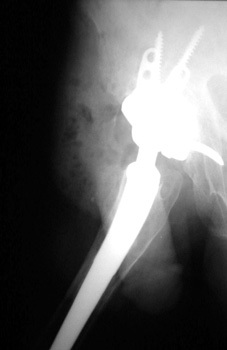 Note inguinal hernia containing bowel.